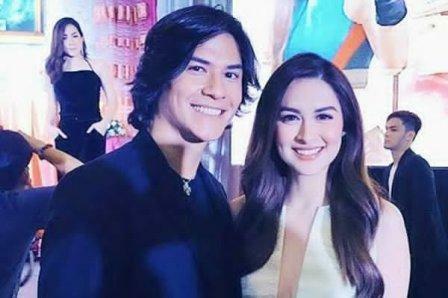 Marian Rivera Pairs to Newbie Hunk Model-Actor Matthias Rhoads in "Super Ma'am"
Primetime Queen Marian Rivera is set to return on GMA Telebabad this Monday, September 18, 2017 via the light drama fantasy series "Super Ma'am." And yes, she is coming with a new leading man, the hunk model actor who turned famous after playing a groom in the Jollibee TV Commercial earlier this year. Matthias Rhoads is Marian's newbie leading man in the said newest TV series. While Marian is playing a teacher in the morning and a Tamaro slayer at night, Matthias then is playing a geologist. After being popular in the said Jollibee TVC, Matthias was first introduced in the Kapuso network as one of the rivals of the JEYA boys in "Meant to Be." And now, the spotlight on him leading in this exciting teleserye. "Super Ma'am" premieres this Monday replacing "Mulawin Versus Ravena" and will be pitting against Angel Locsin's "La Luna Sangre!"